Oct 15, 2018 Olympus Labs Superior Protein Delivers Huge on the “Extras”! Ultra-Premium Protein Blend Made with Real Cereal Pieces! Enhanced with Velositol and cereal pieces for extra muscle protein synthesis, taste, and texture! Note: Check out our Olympus Labs Superior Protein Muscle-Building Edition page to see the PharmaGABA version for an added GH boost! 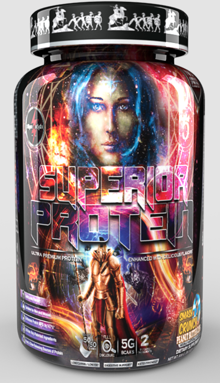 SUPERIOR PROTEIN also features three patented ingredients to significantly enhance the protein blend, including 100mg of PharmaGABA, 2g of Velositol and 100mg of DigeZyme. short changing your muscle gains, but no longer. Henceforth, there is a SUPERIOR PROTEIN! 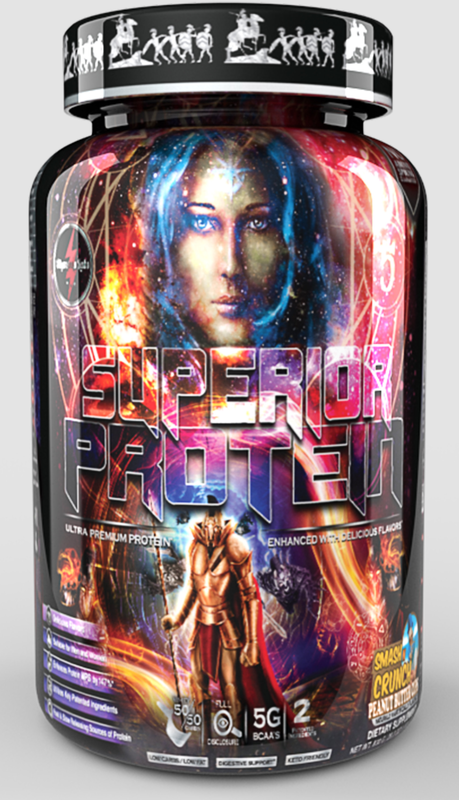 SUPERIOR PROTEIN is designed to be utilized during any stage of a person's training cycle, as a convenient, delicious and very effective protein supplement to assist with any and all training goals. Velositol - Is a patented amylopectin chromium complex that significantly increases muscle protein synthesis when added to protein. Recent clinical data showed that Velositol was able to increase the Muscle Protein Synthesis for a 20g serving of protein by a huge 47% above protein alone! Ultimately resulting in improved body composition and an increase in lean mass, while also decreasing fat mass! PharmaGABA - Is a branded form of GABA, it has been shown that when consumed post workout with whey protein, it produces a sustained increase in resting serum growth hormone, improving the formation of lean muscle mass. The Clinical findings showed that at the end of 12 weeks, lean mass was dramatically increased only in the group taking whey protein in conjunction with GABA. Mocha Mermaid (Mocha Chocolate) This is a Buy 1 Get 1 FREE offer! Not My Gumdrop Buttons (Ginger Bread) This is a Buy 1 Get 1 FREE offer! Smash'n Crunch (Peanut Butter Cups) This is a Buy 1 Get 1 FREE offer! Toucan Twist (Froot Loops) This is a Buy 1 Get 1 FREE offer! Why So Cereal? (Blueberry Pastry) This is a Buy 1 Get 1 FREE offer!